Hanton also wore Guernsey No. 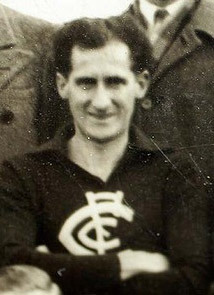 13 during the 1945 season whilst playing with Carlton's reserves team. Contributors to this page: Bombasheldon , PatsFitztrick , molsey , Jarusa , tmd1 , true_blue24 , WillowBlue and admin . Page last modified on Sunday 02 of June, 2013 18:39:27 AEST by Bombasheldon.